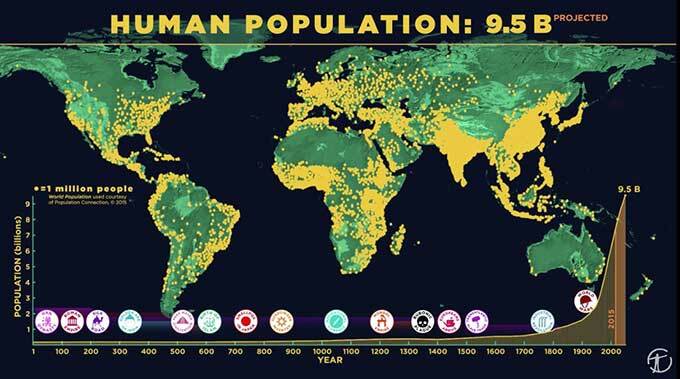 The human population reached 1 billion in its first 200,000 years. It took just 200 more years to reach 7 billion. 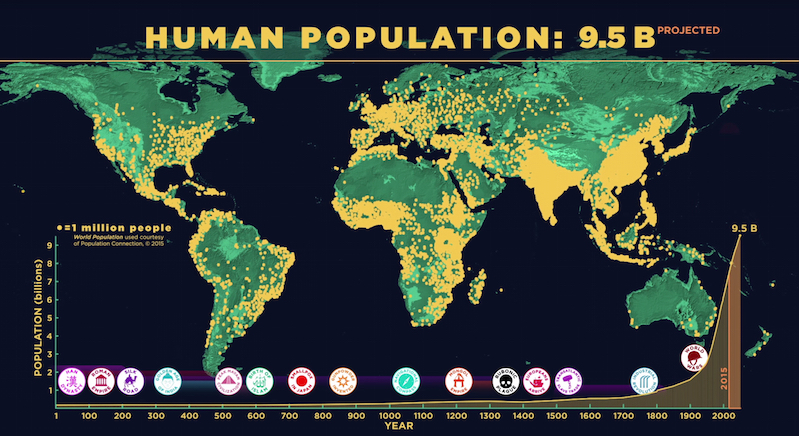 This data visualization video from the American Museum of Natural History presents the explosive growth of our species.